Searching for a tasty Alexandria area spot to grab a bite after a day of car shopping at Alexandria Volkswagen? Then check out our list of the best restaurants in Springfield, VA and celebrate your new purchase with delicious morsels and good company. Among the most popular Italian restaurants in Springfield, Maggiano’s Little Italy serves all the classics, including lasagna, ravioli, pasta marinara, and a variety of seafood options that will have you swooning over their rich flavor. Don’t forget to grab some of their creamy, house-made cheesecake to go! Whether you prefer hearty meat dishes, like grilled lamb and beef, or you want a lighter option, such as butternut squash dumplings, the Afghan Bistro is happy to oblige. Their traditional dishes are created from a combination of local foods and exotic spices for a divine blend that brings visitors from Arlington and beyond. If you’re in search of the best Thai restaurant in Springfield, look no further than the Thai Café. They offer a wide range of authentic dishes like mango and sticky rice and flavorful crisp pork belly to fill you up, as well as Thai coconut custard to satisfy your sweet tooth. Perhaps best of all? They deliver. Steak, chicken, burgers, and all the trimmings are on the menu at Mike’s American Grill. Choose from Washington DC area specialties like the drunken rib eye or satisfy your inner Cajun with their hearty house-made jambalaya — it’s up to you! Homemade chorizo, nachos, burritos, tacos, tostadas, tamales, and so much more await you at El Paso Mexican Restaurant — a little piece of south-of-the-border heaven. You can choose from scrumptious platters pre-picked to complement each other or build your own from their ala carte menu and exactly the flavors you crave. 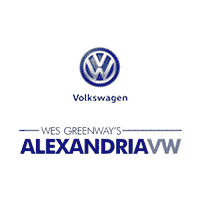 Get More Recommendations from Alexandria Volkswagen! Whether it’s bringing you news on the newest Volkswagen vehicles to give you a better Springfield area drive or telling you about the best places to grab brunch in Arlington, we love sharing the Alexandria area with you! Explore our site for the latest information or contact us to see what’s new today! How Fast is the Volkswagen Golf GTI? What is the Towing Capacity of the Volkswagen Atlas?